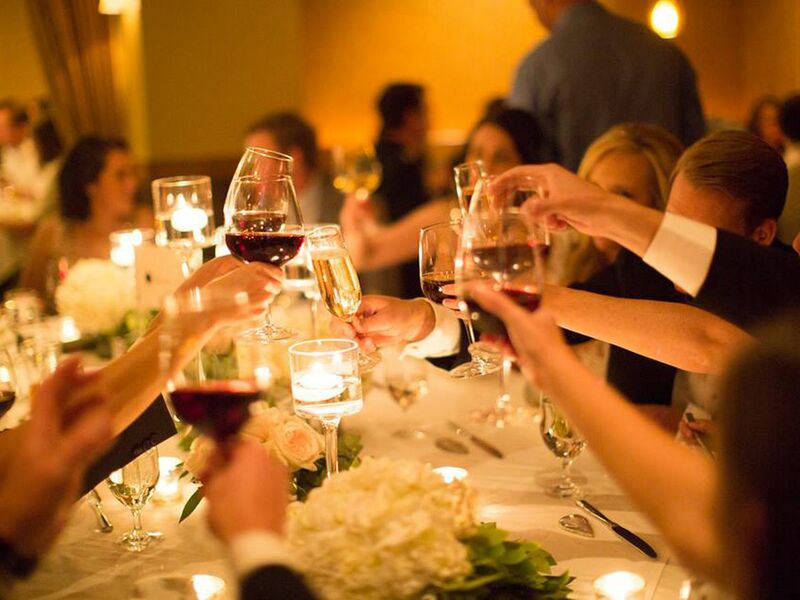 Giuseppe’s Private Room is an ideal venue for business presentations, rehearsal dinners, cocktail parties and family celebrations. The Private Room accommodates seated dinners of up to 45 guests, and is available for reservation during lunch, dinner and Sunday Brunch. Private Dining guests enjoy the outstanding food and attentive service that Giuseppe’s is known for, and our Private Dining staff is happy to accommodate your party’s special needs. With a selection of 4 Dinner Menu packages, you can choose a menu which meets the needs of your party. If these 4 options do no meet your needs, we will be happy to create a custom menu for your event. Audio-visual equipment includes a 6-foot screen and LCD projector, with WiFi. We require a credit card to secure Private Room reservations. While there is no room charge, there are food and beverage minimums for Private Room reservations. The food and beverage minimum for Sunday brunch is $500. The food and beverage minimum for weekday lunch is $350. In addition to the food and beverage minimum, you will be charged 6% sales tax and a 20% gratuity. For parties larger than 40 guests, other areas of the restaurant may be reserved. Please call us at (859) 272-269 to discuss. The entire restaurant may be booked for an evening for a $20,000 food and beverage minimum. All Private Room charges are on one check; no separate checks. We will accept up to 4 equal payments of the one check. Cancellation of a private room reservation must be done no later than 4 days before the reservation; cancellation within 4 days results in a charge of $25 per guest. We ask for a final headcount by 48 hours prior to the reservation. Appetizers can be served in chafing dishes if you would like guests to mingle before dinner, or appetizers can be served on platters at table. Alcoholic beverages are a la carte. We will be glad to help you select bottles of wine. I would like to inquire about the availability of the Private Dining Room. We’ll respond within 24 hours or less.